Order from: Big Bridge Press, Box 180052, Tallahassee, Florida 32318. Checks payable to Big Bridge Press--$12.00, shipping included. ISBN: 188880940X. E-mail Michael Rothenberg. 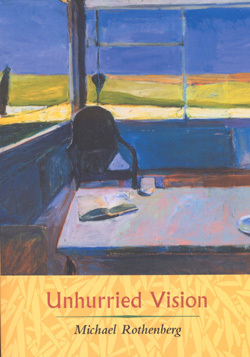 Read a review of Unhurried Vision, by Randy Roark. Big Bridge Press announces publication of Philip Whalen's GOOFBOOK for Jack Kerouac. 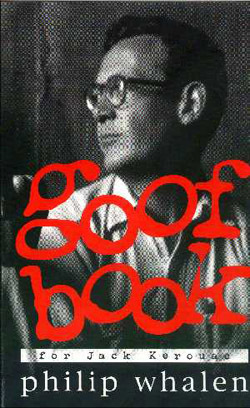 Written in 1961, Whalen says GOOFBOOK is: "A book for Jack, saying whatever I want to say...". Edited by Michael Rothenberg. Cover photo: Philip Whalen and Jack Kerouac by Walter Lehrman. Paperback. 34pp. Order from: Big Bridge Press, Box 180052, Tallahassee, Florida 32318. Checks payable to Big Bridge Press--$11.00 plus $4.00 postage. ISBN: 1-878471-07-4. E-mail Michael Rothenberg. 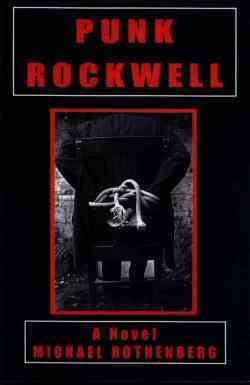 Rothenberg's PUNK ROCKWELL follows and breaks all the rules of fiction simultaneously. A slow-motion, spiraling bullet aimed right between the eyes...original with a capital O." 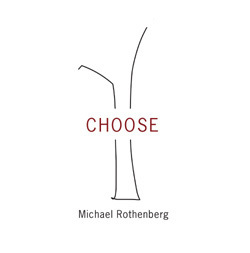 "Michael Rothenberg has one of those genius takes on language. . .
wit and wordlove, enough to move mountains, chip by chip." "Michael Rothenberg amazes me with his industry, talent, energy, focus, curiosity. " "It is a fantastic book. I really enjoyed it. It made me laugh and shudder. Just what a good raunchy book is supposed to do." You can order Punk Rockwell from Big Bridge Press, Box 180052, Tallahassee, Florida 32318. Checks payable to Big Bridge Press--$20.00, shipping included. ISBN: 0966617320. 186 pages. E-mail Michael Rothenberg. Read a review of Punk Rockwell, by Mary Sands. 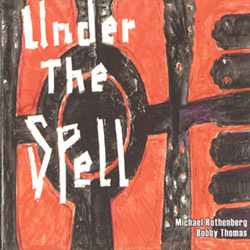 Michael Rothenberg's songwriting and collaborations with musicians brought him to this work with multi-percussionist Bobby Thomas, Jr., best known for his tenure with Weather Report. Joe Zawinul said of him, "he's got his own traditionï¿½he's totally original." Some of the instruments heard on this disc include Indonesian mouth organ, Indian bells, bamboo flute, African bow harp, bongos, congas, voice—you get the idea. Under the Spell was recorded in Miami, Michael's birthplace, and Florida plays a role in the poems (and in his novel, Punk Rockwell). "Let Elian Gonzalez go home to his fatherï¿½Recite this bone-faced prayer/and the thimble of silence becomes sacred wine." Michael Rothenberg delights in naming his world: "Gale winds Jacuzzi bubbles 102 degrees/White cap swimming pool and small craft warning." Or: "Paradise always up for grabs, song of my youthï¿½Why should I be the last hot shot rocket topdown palm town?" You can order Under the Spell from : Big Bridge Press, Box 180052, Tallahassee, Florida 32318. Checks payable to Big Bridge Press--$15.00, shipping included.